Unique complex that provides trace and minor elements in ratios found to be beneficial to rainbowfish and other fishes that share the same waters of origin. Provides minor and trace elements utilized in important neurological and metabolicreactions, and which are incorporated into natural biopigments for coloration. Replaces minor and trace elements used by aquarium inhabitants, and which are lost through chemical filtration (use of filtration media such as resins and activated carbon). Does not significantly increase GH or KH. 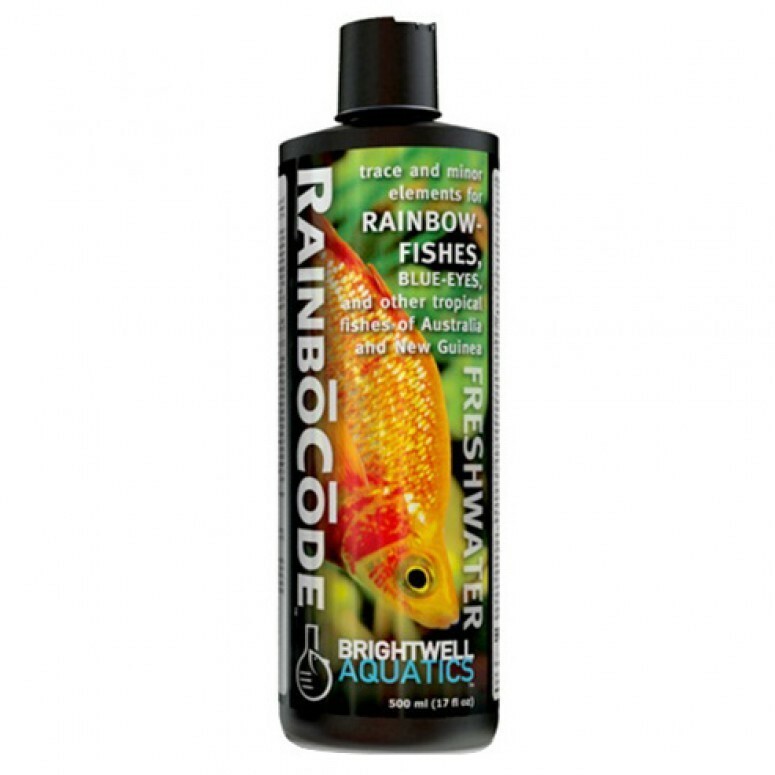 Formulated utilizing extensive research on chemistry of the waters naturally-inhabited byrainbowfishes and blue-eyes, as well as their trace and minor element requirements.